Access All Areas members have a lovely wedding invitation template to download this week, courtesy of Design Something. This elegant wedding invitation design comes in a variety of template sizes and layouts, all professionally set up to be print-ready. The design features a rustic style with vintage paper textures, quaint fonts and a detailed floral type effect as the main focal element. The template is designed to be editable with freely available fonts, so you can customise the text, information and colours to easily create your own invitations. Design Something is a creative store full of quality products for designers, including texture overlays, vector sets and fonts. If you’re interested in grabbing a bargain, check out this brilliant new logo starter pack. It’s an ever-growing collection of logo templates that is updated with new additions every week! There’s already 35 logos in the pack, all with an elegant feminine style. A great deal at just $5! 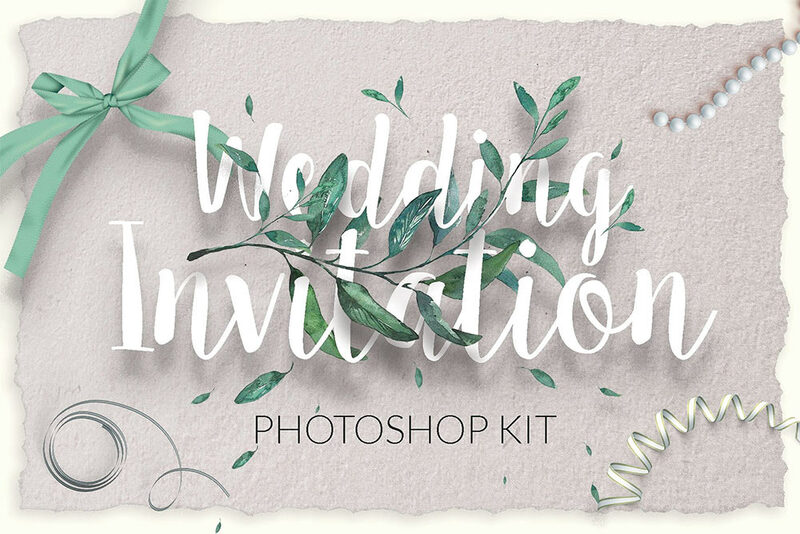 This set of Wedding Invitation Templates contains 8 PSD files for Adobe Photoshop, set up in print-ready format (CMYK/300ppi/0.25″ bleed). The templates cover a range of print items, including layouts for an invitation, menu, RSVP, Save the Date, table numbers and thank you note. All elements are customisable with freely downloadable fonts that preserve the original design style. Thanks for sharing such a great list of weeding invitation templates. I would love to use them in my future projects. You’re doing a great job, keep it up. Good collection! This collection of wedding invitation templates will be really handy who face trouble to find our their desirable templates often. Even I will try to use these templates. I am an academic writer and infographics designer, Know more info you can try this out, However, sometimes I feel the necessity of such readymade templates. My task will be easy with them. So I appreciate you for sharing this amazing content with us.